Playing guitar while under the knife, winning body building competitions and making 90,000 glass beads for a massive mosaic mural – watch these five inspiring people living with Parkinson’s disease achieve amazing things. Here’s a video of 82-year-old Lucien Leinfelder, a retired concert pianist, who in 2015 was still able to play great piano concerts due to unfaltering muscle memory in his fingers – despite advancing Parkinson’s disease. US-based artist, Richard Herdegen, spent 18 months creating a 12-panel mosaic mural from 90,000 tiny pieces of glass, which he painstakingly handcrafted himself. Most of the time his Parkinson’s symptoms are mild enough for him to safely operate the welding equipment. 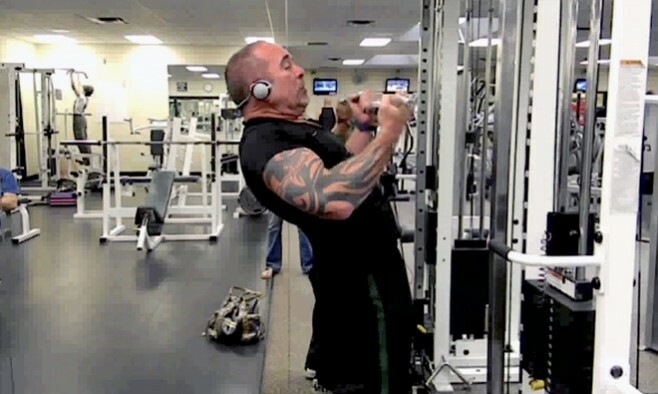 However, when his symptoms are more exaggerated due to fatigue, stress, or tension, it’s a different story. His right side shakes when his tremors begin, and managing the welding equipment and working with hot glass can get “wild”. 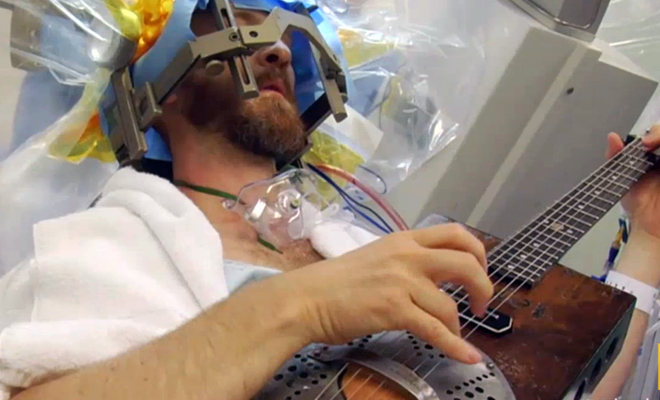 Actor and musician Brad Carter plays his guitar while undergoing deep brain stimulation surgery. Brad was awake for the surgery in 2013 so that doctors could monitor his dexterity and pinpoint the ideal location to place the electrodes. Watch the clip on the National Geographic channel here. 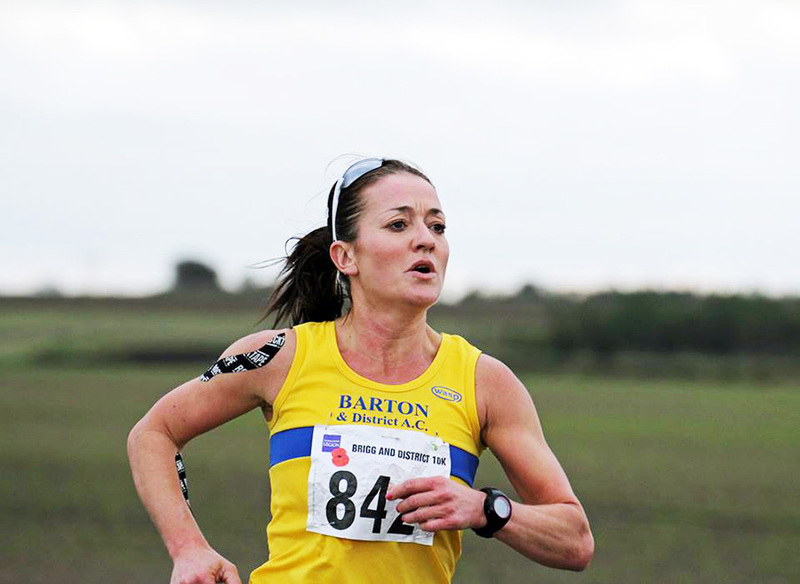 Ruth Wilson is a duathlete and paratriathlete for Team GB. Despite being diagnosed with Parkinson’s disease six years ago, she has competed on the international stage against able-bodied athletes. Ruth, was crowned the national PT4 paratriathlon champion in 2015 and holds the course record at Mallory Park in the UK. All this from someone who couldn’t even swim or ride a bike before she took up the sport!